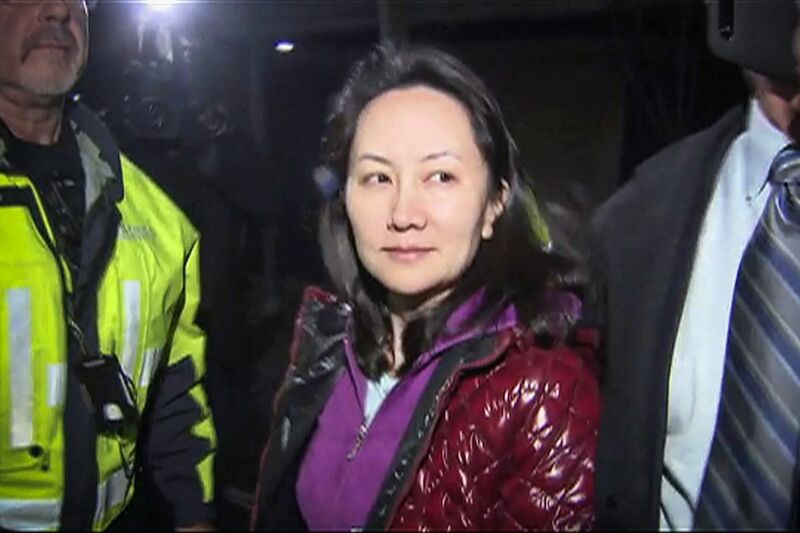 A Canadian court granted bail to Huawei chief financial officer Meng Wanzhou on Tuesday. But the diplomatic incident, which has been manufactured by Washington using Ottawa as a tool to manipulate the extradition system for political not legal ends, is still far from over. There are strict conditions for Ms Meng's release but Canada said that so far, the United States has not formally requested her extradition. If the US does not formally request it within 60 days from the date of her detention, she will be released. Considering that Beijing and Washington are in the process of restarting a fresh round of negotiations aimed at bringing an end to trade frictions between them, the timing of Ms Meng's detention and whether or not the US will pursue her extradition has sparked a lot of speculation. The conjecture that her detention is a bargaining chip in the 90-day deadline for trade negotiations between the US and China was seemingly given substance by US President Donald Trump's remarks on Tuesday. In an interview with Reuters, he said he would intervene in the case if it would help seal a trade deal with China. It goes without saying that the Chinese government will keep a close watch on Ms Meng's case and will do whatever it takes to ensure she gets a fair hearing, but Washington is mistaken if it thinks it can take her hostage and ransom her for concessions in the upcoming trade talks. It is far from clear how South-east Asia might be affected, but if superpowers China and the United States are going to slug it out over the arrest of Huawei executive Meng Wanzhou, it would be wise for the region to prepare for some wild swings. Likewise, Canada is mistaken if it believes that a former diplomat's detention is linked to Ms Meng's arrest. Chinese Foreign Ministry spokesman Lu Kang, commenting on Ms Meng's bail on Wednesday, made it clear that Mr Michael Kovrig has been detained for questioning about possible illegal activities in China relating to his work with a non-governmental organisation (NGO), which being unregistered means that he and the NGO have violated the law. Instead of complicating Ms Meng's detention by trying to link it to other issues, Canada and the US should show political wisdom and untangle the various issues so they can be resolved in the correct way. The US has taken a daring risk by seeking the arrest of a prominent Chinese executive. It is far from clear how South-east Asia might be affected, but if superpowers China and the US are going to slug it out over the arrest of Ms Meng Wanzhou, it would be wise for the region to prepare for some wild swings. Ms Meng's arrest in Canada, pending likely extradition to face charges in the US, has been seen as fulfilling some national security concerns in Washington. But, from the look of it, the move seems likely to complicate future trade talks with Beijing. The US Justice Department is investigating Huawei - a company widely regarded as representing the zenith of Chinese technological innovation - for violating US sanctions against Iran imposed between 2009 and 2014. The sanctions had been removed under a 2015 nuclear deal before being re-imposed by Mr Trump. That the arrest came on the same day Beijing and Washington agreed on a 90-day truce in their tariff dispute might have been coincidental. But Beijing surely sees it as part of America's efforts to stymie China's rise as a global telecommunications giant. China has to be made to understand that it cannot sell Huawei products in America without abiding by American law. If it truly believes the US is wrong to sanction Iran, the nobler course would be to boycott the US market and withdraw its products. The pith of the matter is that Huawei products feature components of American technology. This means that the company and Beijing are going to have to play by US rules. All of that aside, it is upsetting to see this latest example of a Western nation using legal manoeuvres to punish foreign firms whose behaviour it finds objectionable. In this case, US domestic law is reaching far beyond its borders. There is much that is fog-bound, yet there is reason to describe the arrest of Ms Meng Wanzhou as a thunderbolt for the markets. On closer reflection, it is an action against a company that plays a pivotal role in the spread of Chinese technology. There is little doubt the arrest has undermined the US-China trade truce. Equally that it was a decidedly political move. Small wonder that Chinese diplomats have demanded her release, saying she has broken no laws. The arrest reportedly relates to allegations that Huawei has breached US sanctions on exports to Iran. US prosecutors began an investigation two years ago and last year, another Chinese telecom firm, ZTE, pleaded guilty to the charge of violating sanctions. A US ban on the sale of parts and software to the firm was downgraded to a fine of US$892 million (S$1.2 billion) and monitoring following Mr Trump's intervention. Markedly, there were no detentions at that time. The White House has yet to answer the crucial question - why an arrest, why her and why now? Whatever the fallout and long-term outcomes, the development reflects Western concerns about China's increasing international might. The Japanese government has an obligation to prevent the leakage of confidential information and to defend against cyber attacks. As long as there is a possibility of China's involvement in illicit acts, it is an appropriate judgment to exclude Chinese technology companies from the government's list of equipment suppliers. Chinese President Xi Jinping's administration positions Huawei at the core of the country's industrial promotion measures, called "Made in China 2025". There is suspicion that the company and ZTE cooperate with the Chinese government's espionage activities and cyber attacks. The US, Australia and other countries have taken measures to eliminate the two companies from their lists of suppliers from which they procure equipment. If next-generation mobile network technology, or 5G, spreads to its full potential, the amount of information communication data will increase dramatically, raising the risk of cyber attacks. The government must steadily strive to mitigate such threats, by cooperating with the US, Australia and other countries.